Future-proof intelligence that fits your lifestyle. Ease of use with simple friendly controls. Energy saving with advanced control of heating, ventilation and lighting. Huge range of style options to suit modern and traditional buildings. 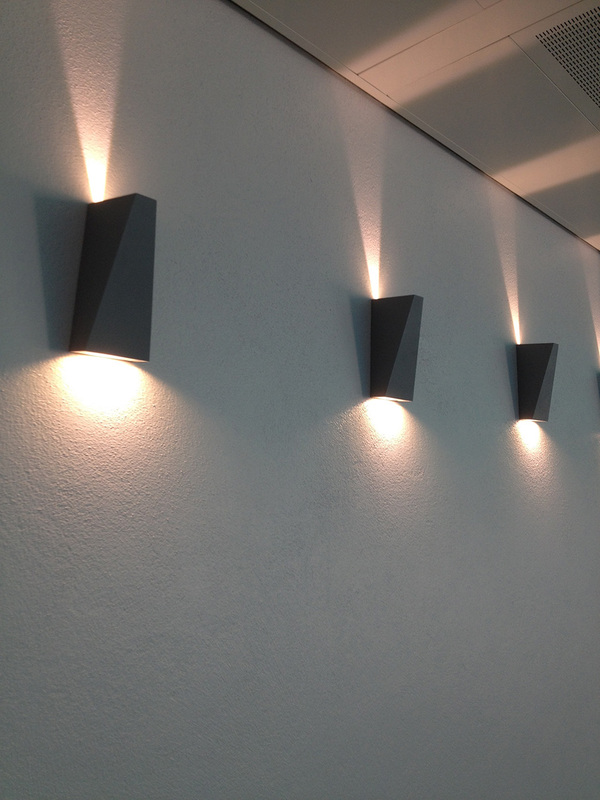 Lighting Design service to showcase your building in the best possible light. Audio Visual Installations that make your home cinema experience better than going out. 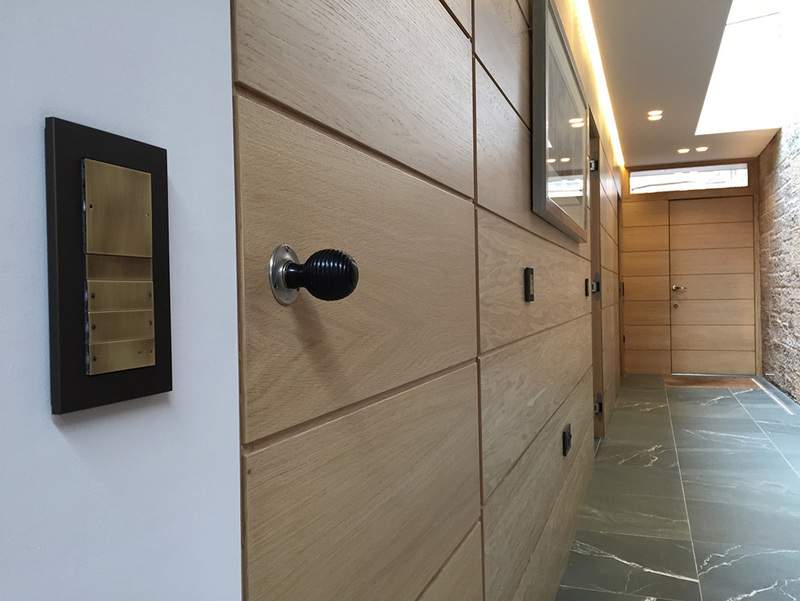 We work with client and architect to design a perfectly tailored and versatile control solution from the outset. As part of our design service we generate technical drawings, installation data and technical manuals to support the installation phase on-site. To get the most from the lighting control system it is important that fittings and controls are matched to ensure optimum dimming performance. We provide a premium lighting design service and can offer fittings from a wide range of designer lighting manufacturers. With our lighting design service we not only find spectacular fittings for you but we will ensure that the dimming performance, light output and colour temperature are suited perfectly to the environment. Since a KNX system can be used to control all of the electrical and mechanical services in a building we are required to have a hand in the design of all of these services. No other party is better able to oversee the electro-technical aspects of the project than us. We communicate closely with the electricians and heating engineers to help avoid mistakes on-site which can lead to costly remedial work later in the project. Function Control provide drawings, wiring schedules and installation documents for the installers on-site but we do not stop there. We insist on a sit-down meeting with the electricians and heating engineers prior to the start of work on-site. Our system of working ensures a simple installation process and we are always on hand to advise. Once the building is reaching completion and the electrical services have been tested we can commission the KNX system. The KNX enclosures and devices are always built, programmed and tested in our workshops before arriving on-site. This ensures that the commissioning phase is fast and streamlined, with minimal time spent testing on-site. With our Maintenance Contracts you can access priority service and reduced rates for call-outs and system modifications. A regular system health check and software update schedule will keep your building performing at its most efficient. Please contact us here for more information. Early morning. Your bedside light gradually dims up and your favourite radio station starts to quietly play in the bedroom to wake you gently. As you move from the bedroom to the bathroom the light and the music follow you. As the sun comes up the house responds by opening the blinds downstairs to capture the solar energy and warm the house for free, conserving energy and saving you money on your energy bill. Once at the office your phone buzzes. You answer the call at your front door from your computer and instruct the delivery man to leave your package inside the front porch as you watch him on the video screen. Your hands are full as you arrive home later. The door unlocks automatically as you approach and allows you to enter without obstruction. The house detects your presence and brings the heating quickly up from standby to comfort temperature, controlling the temperature room by room for optimum energy efficiency and comfort. You decide to go out for a bike ride. Pressing the button by the front door as you exit, the house switches off all lights and sets the heating to standby. The house knows that you are out and after dark replays lighting scenes to simulate occupancy. While out on your bike a huge rainstorm soaks you to the skin. You wish you had worn more waterproofs but you console yourself with a couple of taps on your iPhone. You know the house is heating the water for a nice hot bath when you return. As you turn back onto your street your driveway lights, front door light and hallway lights dim up to a welcoming glow. After dinner you sit down to enjoy a movie. At the touch of a button the lights all dim to a low level, the blinds close and the movie is ready to start. Bedtime. You climb the stairs and slip into bed. The button by your bed switches off the lights throughout the house, just leaving on a few select night lights. Because intelligent building control covers so many aspects of a building project Function Control like to work as part of the design team and get involved in the project as early as possible. Initially we will work with client and architect to form a provisional design to suit the specific needs and style of the project, selecting the building elements to control and offering products to suit. Once appointed we can produce autoCAD layers for the Mechanical and Electrical drawings. These drawings reference directly to our quotes, products lists, datasheets, installation instructions and scheduling. Close collaboration with the Site Manager, Electrician and HVAC Engineer is vitally important to the success of any project so we go to great lengths to get the channels of communication opened, starting with a sit down meeting to go over the aspects of the control system related to each department. A Data Pack containing plans, scheduling and datasheets is always supplied to the installing electrician to document the installation wiring requirements and the specific fitting requirements for any product supplied by Function Control. Regular site visits by Function Control ensure that progress on-site is monitored and the control infrastructure is installed correctly. We assemble and configure all control components off-site so that they can be brought to site and installed with the minimum of disruption. Once all wiring infrastructure is in place the system can then be brought to life very quickly and on-site commissioning can commence. Full documentation of the installation and all programming files are handed over upon completion but we do not stop there. We appreciate that with a full building control system there will be functions that the customer may want to adapt after settling in. We will take on feedback and return to update the system and make any required modifications so that the system works to your exacting requirements. At the heart of every Function Control system is KNX, the international standard for building control. Over 300 manufacturers make KNX compatible equipment and the range of products spans lighting, heating, ventilation, air conditioning, motorised blinds, shutters and much more. KNX has been used in award winning projects around the world and has both a proven track record and a future-proof design. KNX devices each have a microprocessor and communicate with each other using a serial bus communication principal. This allows the system to be wired using a single installation cable which links each switch and device. Upgrades and additions to the system can be made with minimal invasive work. LED lighting is great for saving energy but things can get complicated when trying to achieve pleasing lighting effects and reliable dimming. Function Control provide a lighting design service selecting products from premium manufacturers We ensure that all lighting products are matched and compatible with the dimming and control hardware as well being carefully considered to compliment the decor and architecture. Work on the renovation of this grand Edinburgh, New Town flat began in of summer of 2015 and was completed, on time and to budget, by spring 2016. 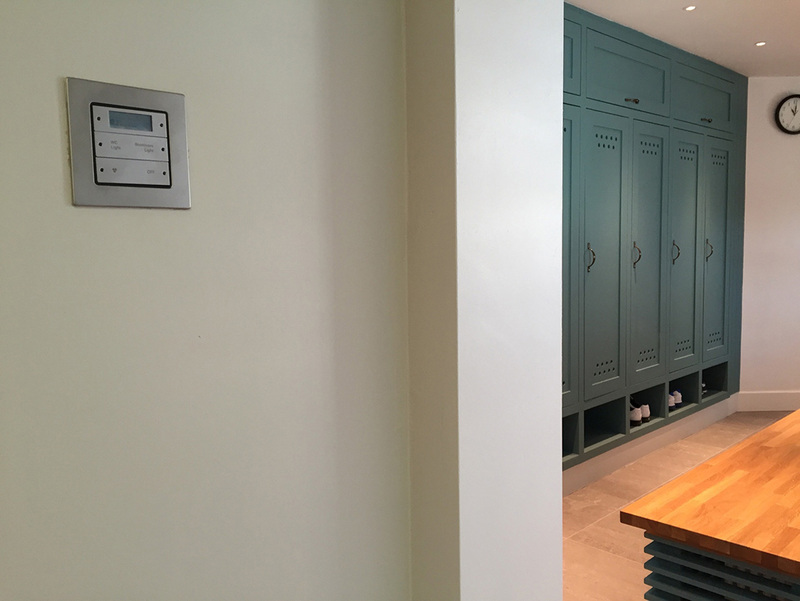 KNX technology with bespoke GIRA finishes and electrical accessories were utilised to successfully meet the design brief. As part of our service, KNX electrical design drawings and wiring schedules were provided to the on-site installers and meetings were held to discuss the installation process. Progress on the wiring of the control system infrastructure was swift and seamless due to close collaboration between Function Control Ltd. and the main electrical contractors. The KNX enclosures, pre-configured and pre-tested in the Function Control Ltd. workshop, were delivered to site in early February and connected into the building wiring infrastructure. 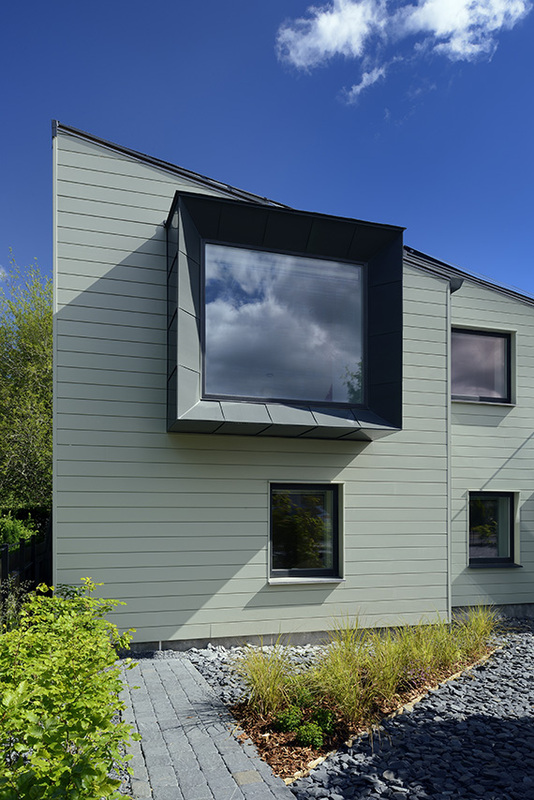 This process minimised the on-site installation time and allowed a fast evolution from building site to functioning home at the stage of a project when it most counted. 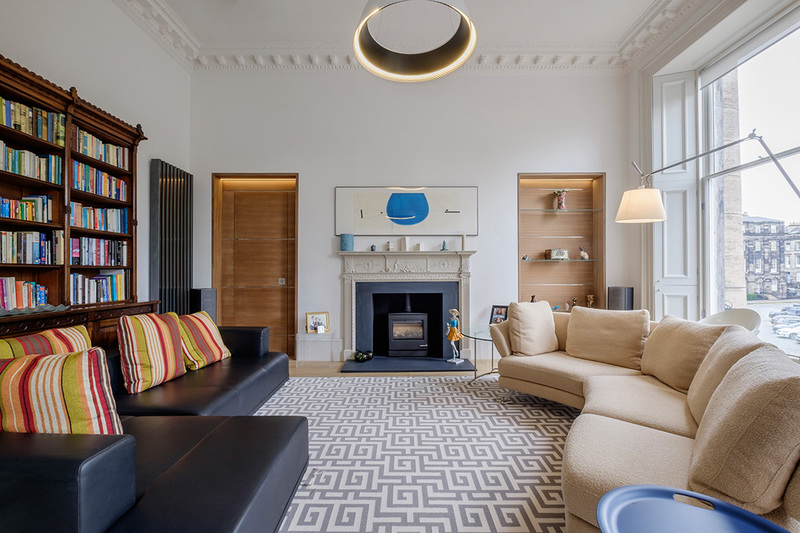 Function Control Ltd. provided KNX design and commissioning services for integration of a complex lighting scheme, heating control and motorised blind control for this high specification luxury home in Edinburgh. A wide range of different designer LED lighting features throughout the house are brought under control with scene lighting control from GIRA wall switches and from iPad visualisation. Dimming methods including mains dimming, 1-10v dimming and KNX LED dimming work together in a seamless system. Light scenes can be set up then stored for easy recall with one button press. 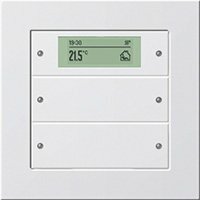 Underfloor heating and radiators are zone controlled with individual room temperature controllers integrated into the wall switches. No extra room thermostats or radiator TRV’s were required helping to keep the walls clear of ‘controller clutter’. 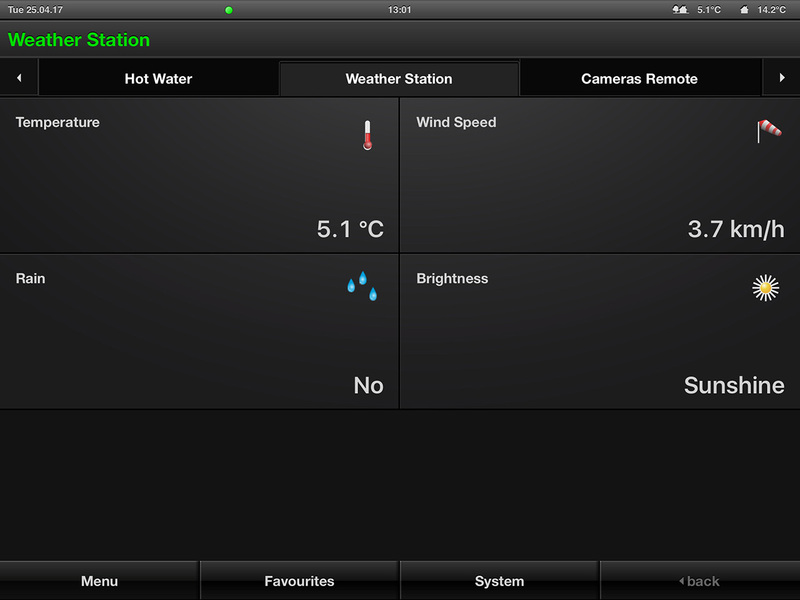 The owner can set heating timers and make room temperature adjustments in each room or via iPad. Blinds can be raised and lowered as a group or individually window by window using the wall switches or iPad. 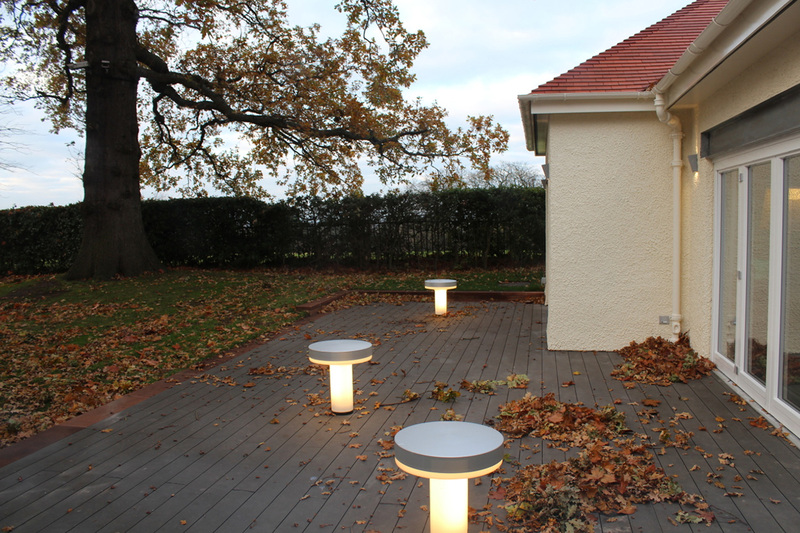 Garden Lighting switches on at dusk using the astro clock function from the KNX system ensuring that the lights never come on before dark and follow the sunset times according to date and location. 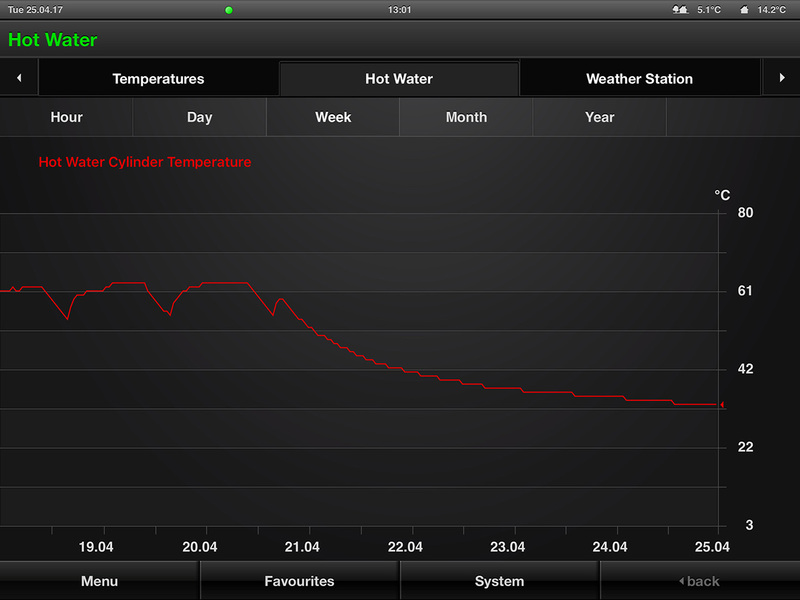 Hot water cylinder temperatures are recorded and displayed in graph form for viewing and monitoring purposes. 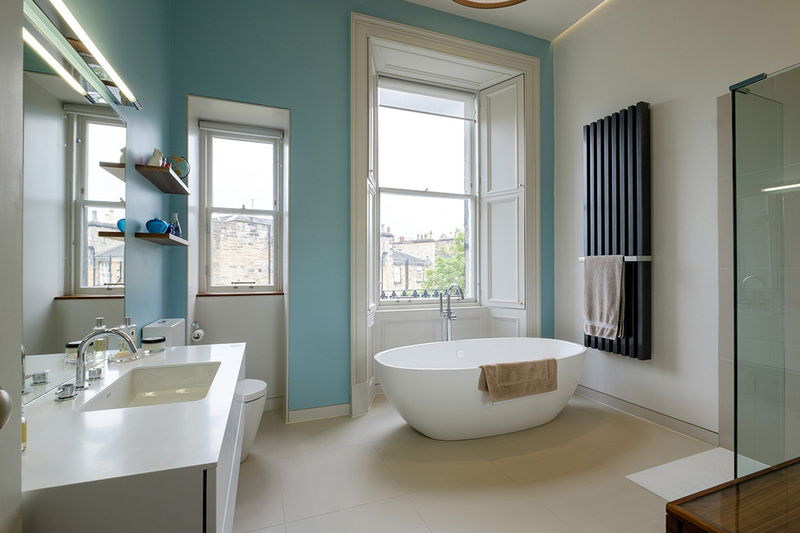 The original purpose of this was to allow monitoring hot water temperature so that the owner would know if they needed to boost the hot water in order to get a hot bath. The function has since been used to ascertain the exact time of a boiler failure. Switches at the house exits and bedside have been programmed to additionally provide a ‘Central Off’ function to allow all lights in the house to be switched off with a single button press. 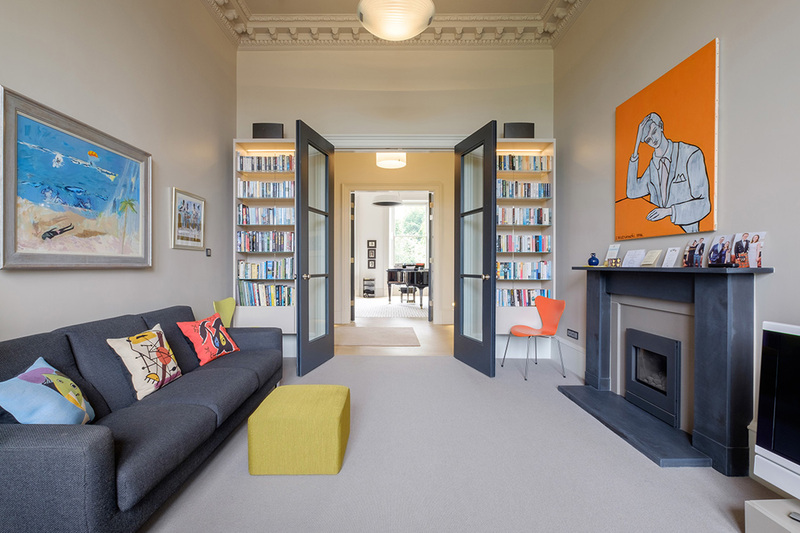 Complete renovation of this late 18th century house was undertaken in 2015 providing opportunity for the owner to utilise modern technologies to vastly increase energy efficiency and add state-of-the-art functionality. 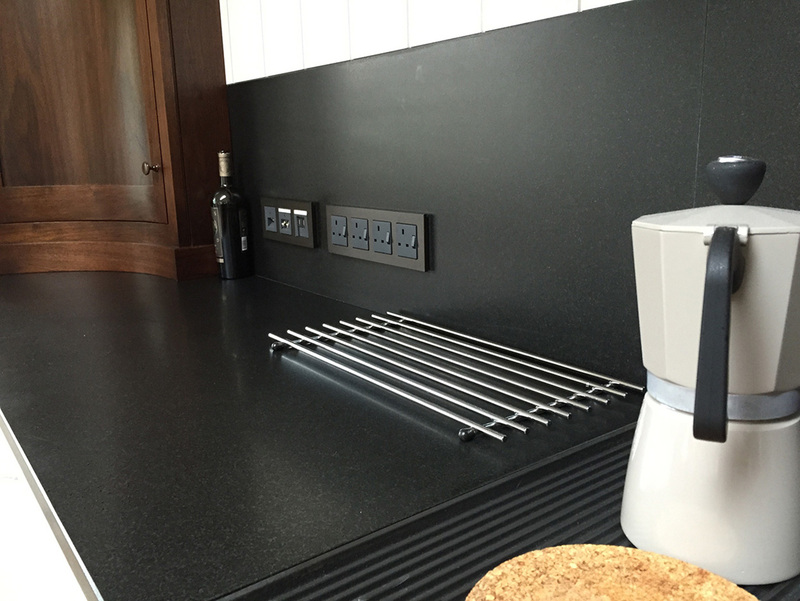 The project uses GIRA wall switches from the E22 stainless steel range. 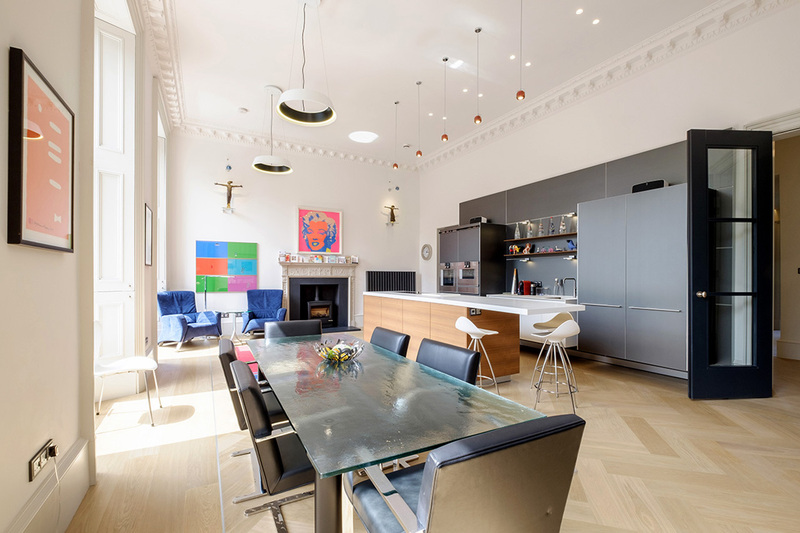 Their crisp modern style is very striking in combination with the original features retained throughout the house. Control of lighting, heating and other functions is possible via the wall switches in each room, via a dedicated touchscreen in the Kitchen, on iPad and on iPhone. 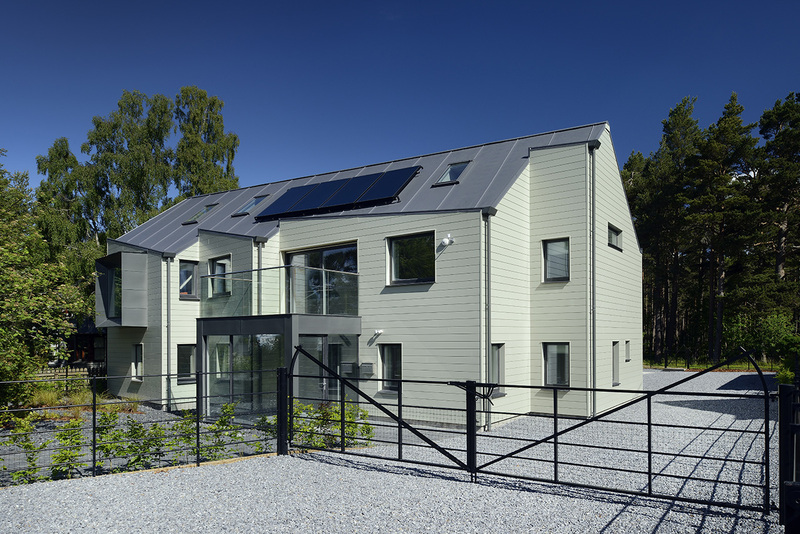 Advanced control and monitoring of a high efficiency new-build home near Aviemore to bring together lighting, heating, MHVR ventilation and solar energy systems. Function Control Ltd. designed a KNX system to control and monitor all aspect of this high specification building. Logging of recorded actual heating performance and energy usage data from the KNX system is to be used to compare against the design projections. Finishes from the GIRA E22 flush mount range are used throughout for switches and electrical accessories. Multi-gang accessories are used to combine USB charging, 13A sockets, 5A lighting points and data points in a smart and stylish manner. In collaboration with SHS Burridge Architects. 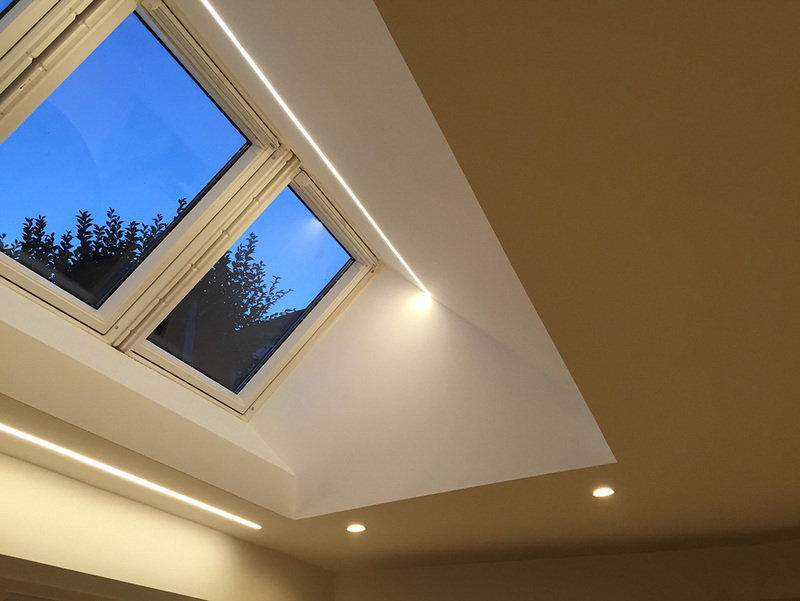 KNX and DMX lighting control was used to provide a simple and stylish interface in this lighting design project for a new swimming pool extension in a private home in Edinburgh. Completed in collaboration with LEC Design Ltd and W N Thompson Architects. Aluminium GIRA E22 switches with bespoke button inscriptions provide lighting scene recall in the pool area, outside decking area and changing room. Colour-change lighting can recall colour presets with the touch of a button or the system can scan through a full rainbow of colours until the desired hue is found. LED light sources were used throughout for energy efficiency and longevity. 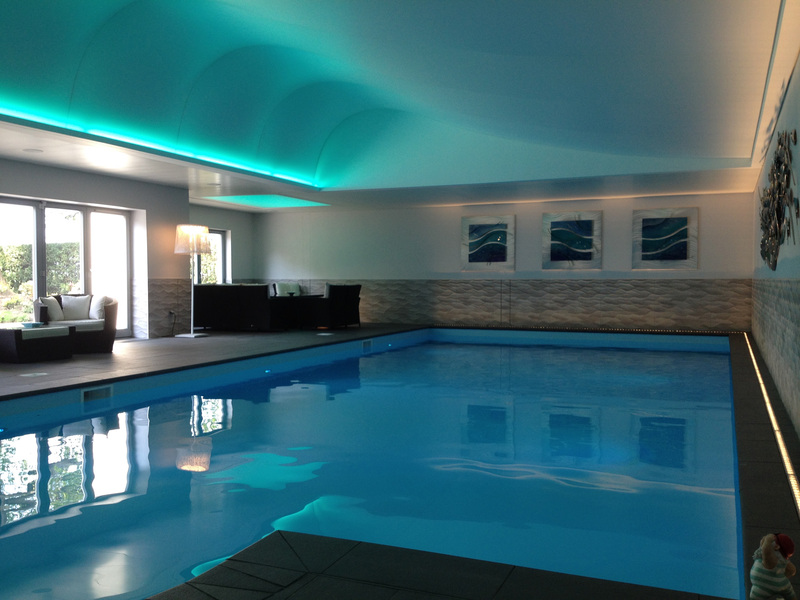 All light fittings and switches were selected to exceed the requirements for use in a swimming pool environment. 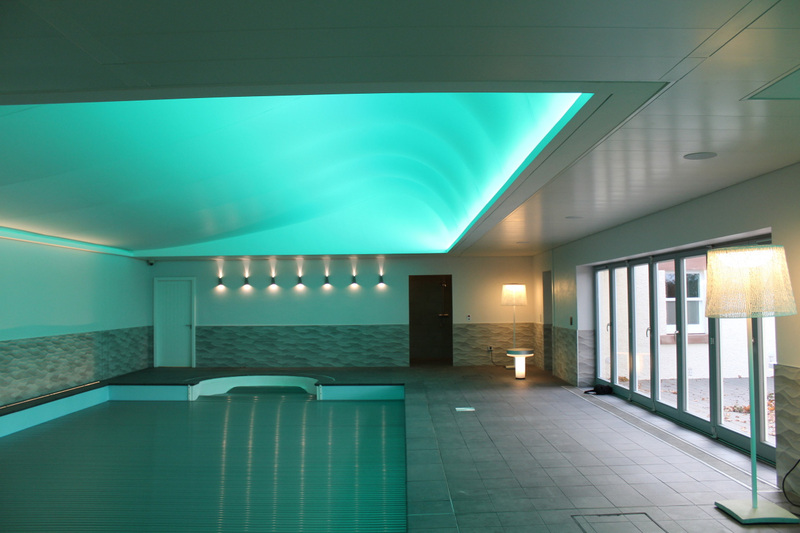 Custom pool cover controls were specified from the GIRA E22 range to complement the light switches. Music in the pool area is provided by recessed ceiling speakers fed by a Marantz Media Music system located in a separate room. This system was chosen to provide the client with CD, iPod and Tuner sources as well as internet streaming services. A dedicated touchscreen as well as a smartphone app allow easy wireless control of the system while in the pool area. The KNX infrastructure has been extended into the existing house to provide an easy method for future expansion of the system to take in garden lighting or upgrades to lighting or heating control in the rest of the house. 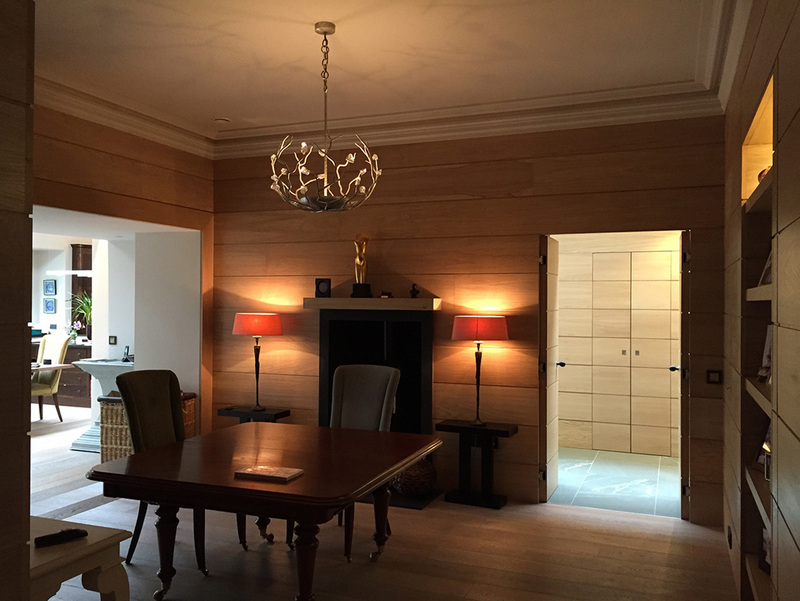 A 3-bedroom 1950’s house in Edinburgh installed with KNX intelligence for lighting, heating, ventilation and blind control. Contact info@functioncontrol.co.uk if you would like to visit the demo house and see a working KNX system. 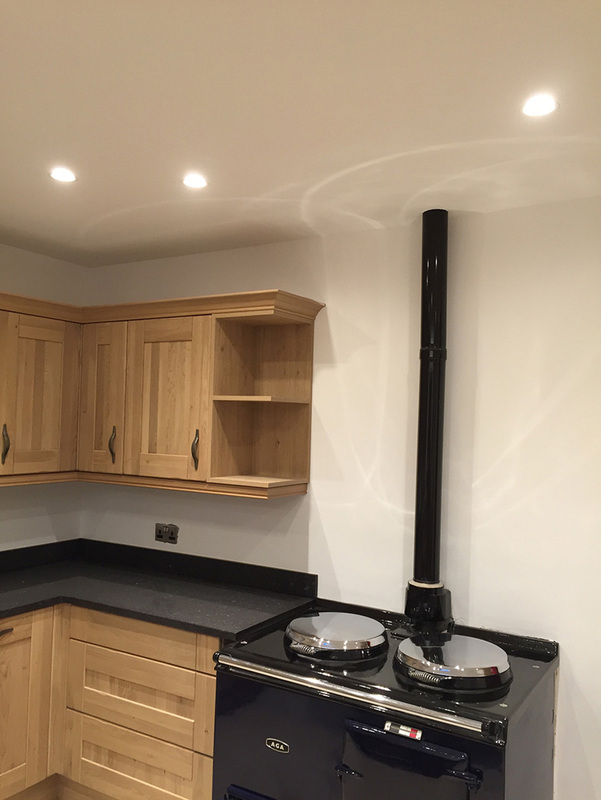 Function Control Ltd. were invited to provide a lighting design to complement a kitchen renovation and provide stylish lighting with a soft output to soothe tired eyes. A combination of custom designed trimless plaster-in LED strip, trimless plaster-in downlights and LED strip under-cabinet lighting were selected. 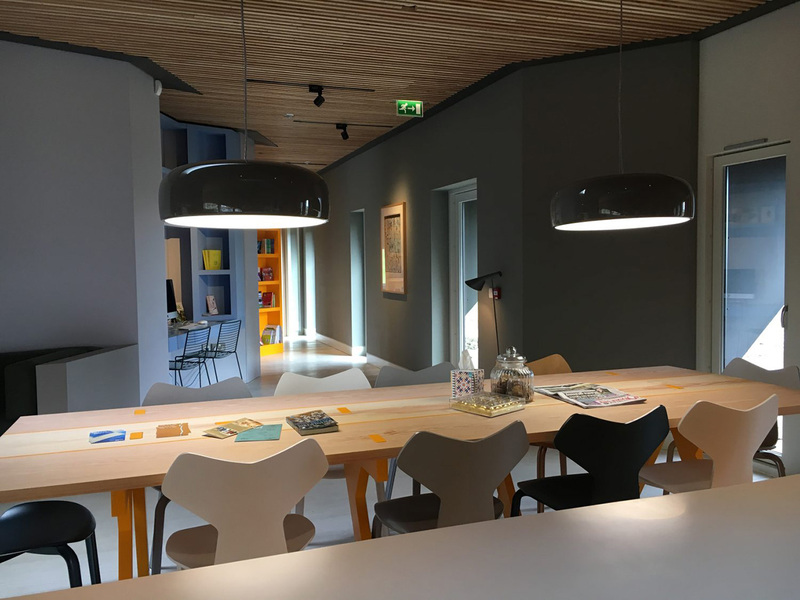 Great care was taken to specify carefully for optimum dimming performance and a consistent very warm colour temperature light output from all fittings. Our attention to detail in product specification and on-site support set us apart from all competitors even on small projects. Function Control Ltd. provided a lighting control solution for the new Forth Valley Maggie’s Centre which opened to the public on 15th March 2017. 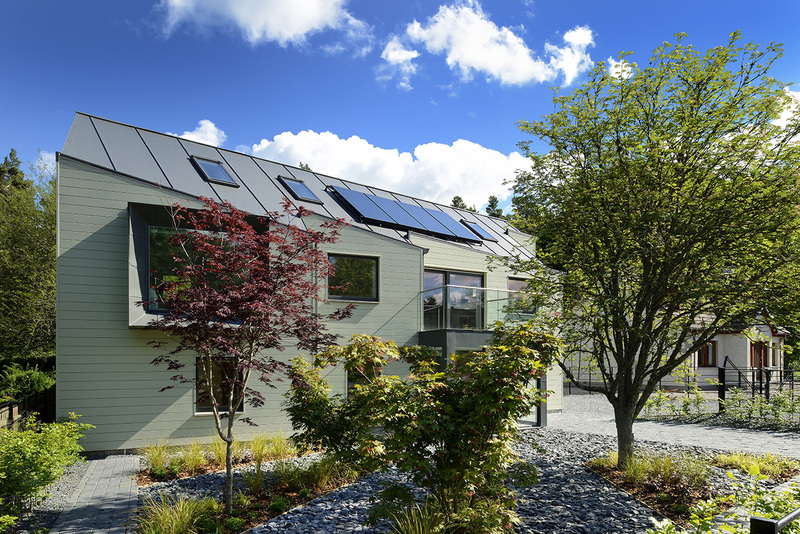 Maggie’s centres are founded in the belief that sensitively designed and well crafted material quality is a pre-requisite to generating the nurturing, healing and inspiring environment for cancer patients, their families and supporters, for which they are renowned. The design brief was based around presence and absence detection lighting control with different behaviours required for different areas of the centre, some areas being fully automatic and others incorporating manual switching alongside absence detection. 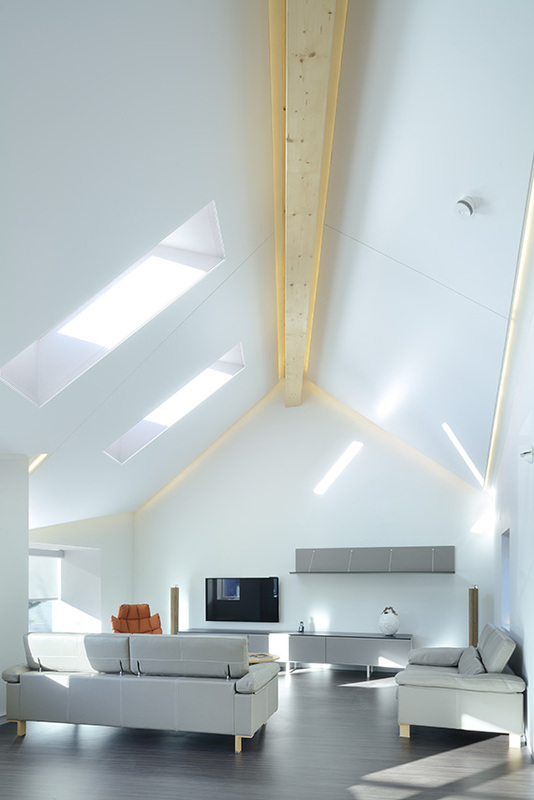 Complex programming was developed in a KNX logic device to integrate light level dimming and absence delays followed by slow dimming of the lights to off. 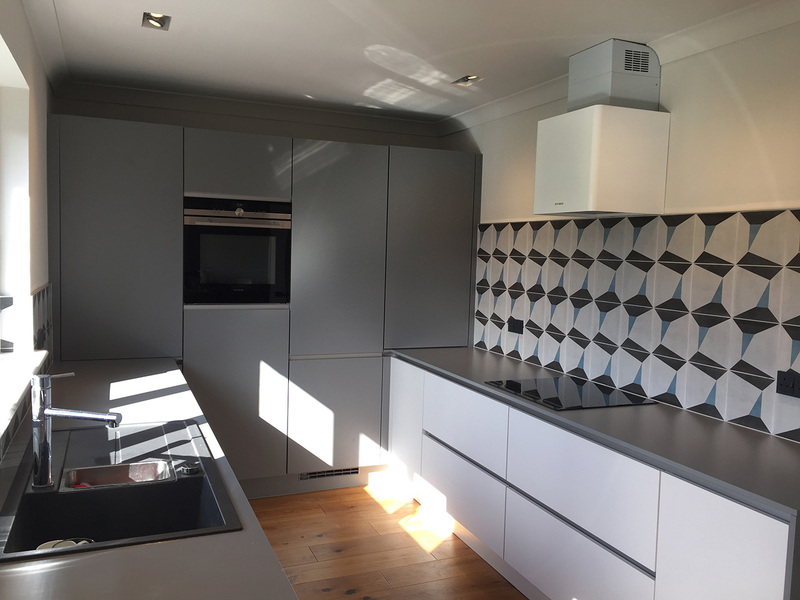 Motorised windows and a kitchen extractor were late additions to the control system but were integrated successfully allowing a ‘central off’ function to be programmed to close windows and stop the extractor as well as switch off all lights at the end of the day. 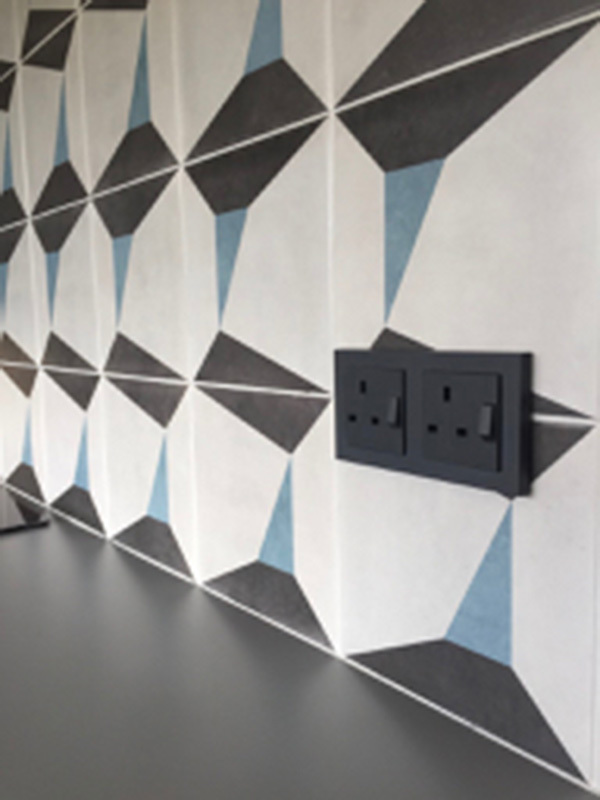 Architectural specification required matching finishes for switches and sockets from the GIRA plywood linoleum range. 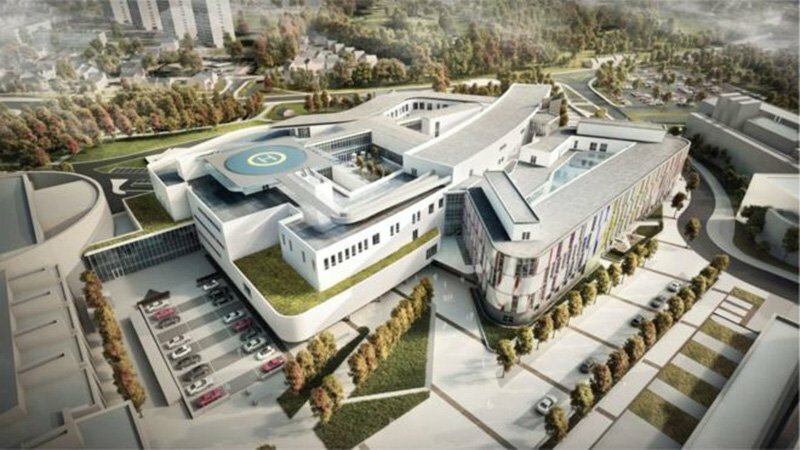 The Edinburgh Royal Hospital for Sick Children is moving to Little France from its historic location in Sciennes near Edinburgh city centre. The new building conveniently adjoins the Royal Infirmary of Edinburgh and is due for completion in 2018. Function Control Ltd. have been appointed to commission and test the lighting control system for the new building which uses KNX and DALI technology. We will be systematically programming and testing the building controls ensuring a robust system has been installed which can be effectively maintained and easily modified during the life of the building. 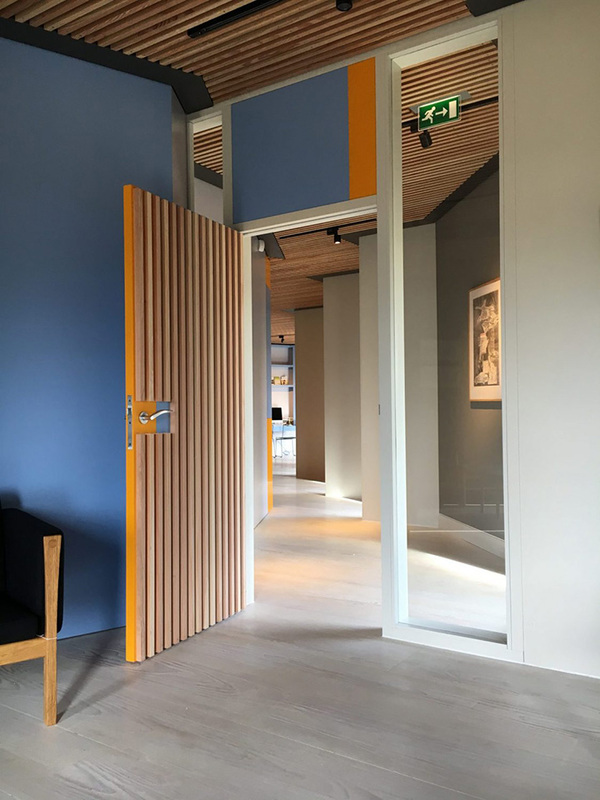 KNX and DALI make up a versatile lighting installation which can be adapted to changing needs and layouts within the building with minimal disruption in comparison to conventional lighting installations. 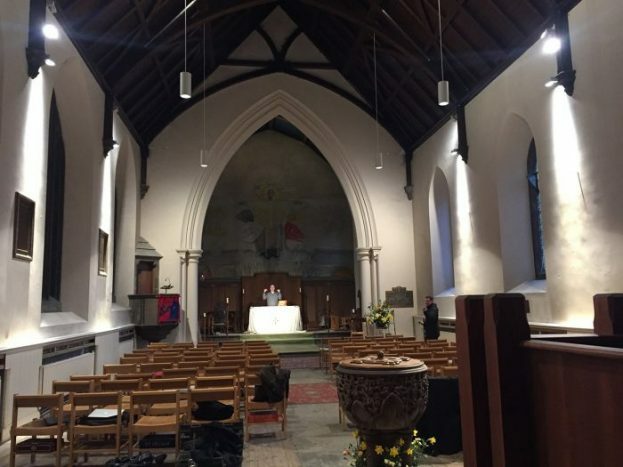 St Columba’s Church committee approached Function Control Ltd. for lighting advice as the church lighting was difficult to maintain and provided poor practical lighting. We were able to spend time discussing design options with the Church Committee and developed a versatile and comprehensive design which has solved the previous lighting issues and accentuates the appearance of the church. ERCO LED spotlights and pendants were selected for their reliability and subtle design which blends in well with the Church architecture. Spotlights light down the walls, up into the timber roof structure and dramatically highlight the Altar, Mural and Font. Sleek cylindrical pendants are utilised to provide good reading light over the congregation. 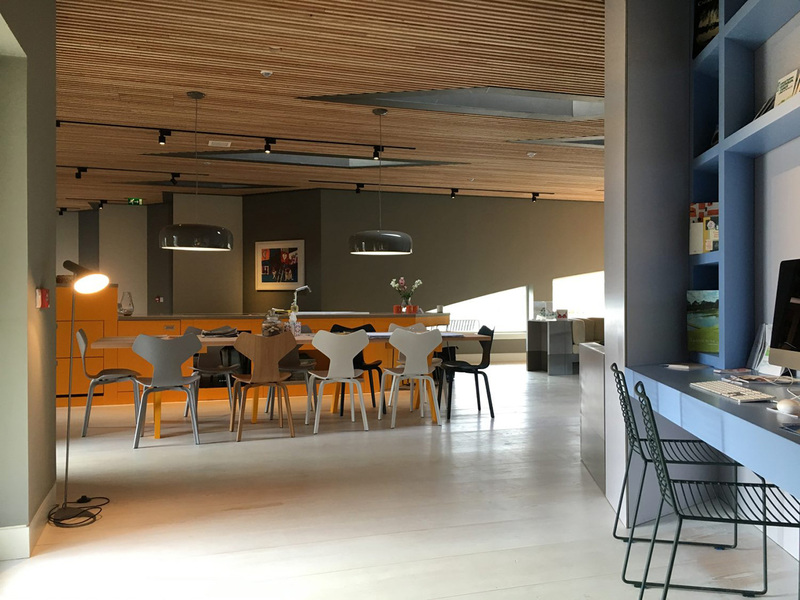 A KNX based control solution was integrated to provide user configured lighting scenes recalled from a switch position in the church and via smartphone app. 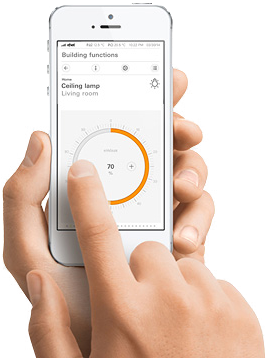 Future upgrades are being considered for integration of lighting timers and heating control as part of the KNX system. 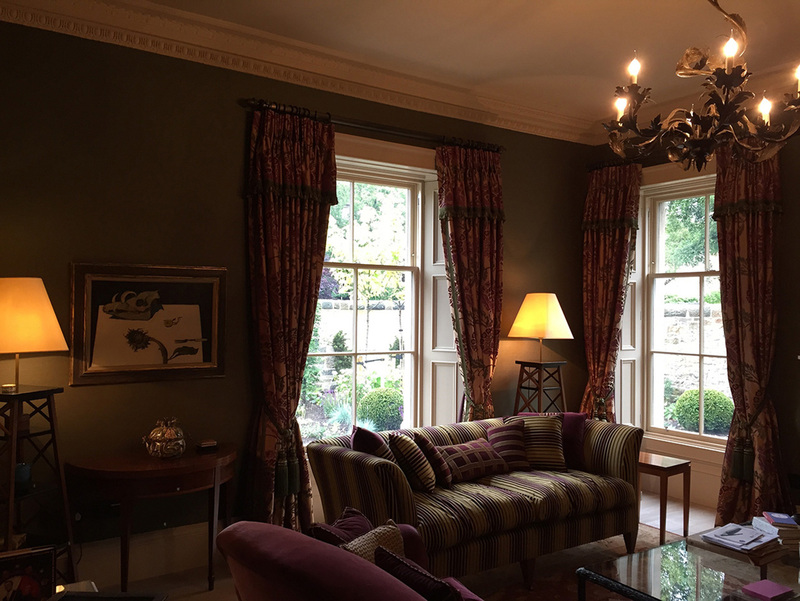 I hired Function Control as part of a refurbishment of my 7 bedroom house in East Lothian. They designed and integrated a home control system that provided full control over heating (by room), lighting (over 100 circuits), gates, key access door, garage door, automatic conservatory windows, etc. They did an excellent job, worked well with main contractor, delivered on time, provided very attentive service and after service. I would recommend them. Nick designed and installed a very clever system to control electrics, heating, security and sounds system in our home which was being totally renovated. He has been a delight to deal with, patient with architects, electricians and us clients. He is tenacious and will always work to find a solution and seems to remain calm under pressures. I can't recommend him highly enough for an unusual combination of thorough and rigorous technical knowledge combined with an easy pleasant manner. 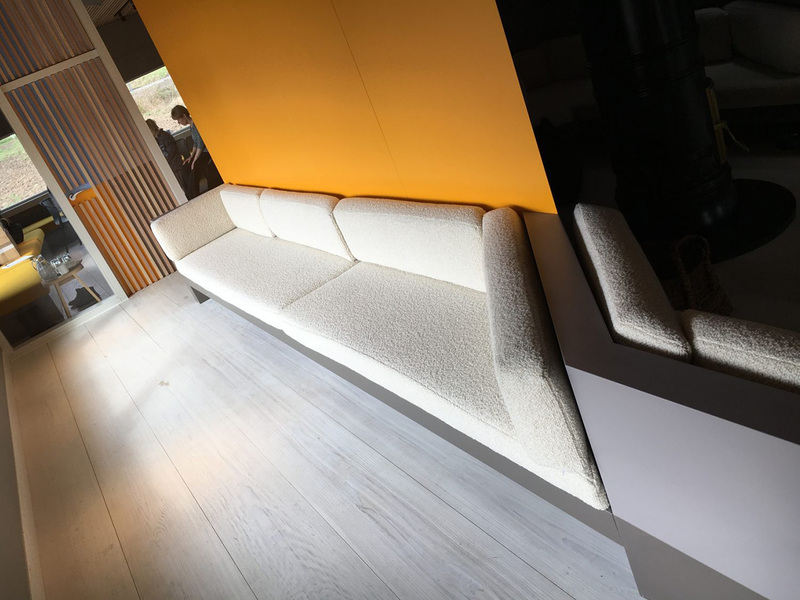 Our Function Control technology has given us cutting edge control over heating and lighting which significantly enhances our enjoyment of our new property. Nick Laing could not have been more helpfully in setting everything up exactly as we wished. Richard Loudon—Property partner Simpson & Marwick. For more information or to arrange a consultation, send us a message.